"This is what the future looks like." 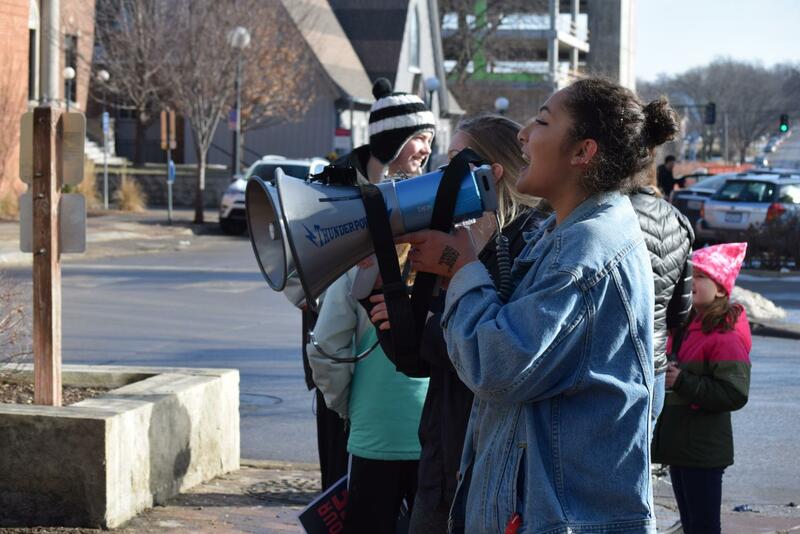 Still yearning for change, community members joined together for the one-year anniversary of the Iowa City Women’s March on January 20th, 2018–one of hundreds happening around the US. This year, the goals were to get women involved with voting by providing resources where they could register to vote in Johnson County during the event and to patronize businesses downtown that have committed to the $10.10 minimum wage. After the march, participants were encouraged to dine at restaurants that recognize the minimum wage efforts. Beth Hollar Gier, one of the several women who helped organize this event, believes that holding this march again will strengthen the sense of community in Iowa City because this march is all-inclusive. She hopes that they will be able to reach elected leaders and show them the unity of the community returning to the Women’s March. People of all genders and ages showed up to listen to keynote speakers including Mazahir Salih, newly elected member of the Iowa City Council. She expressed her experience being the first Sudanese-American to hold office in the US in front of hundreds of supporters as they prepared to walk the half-mile march route. 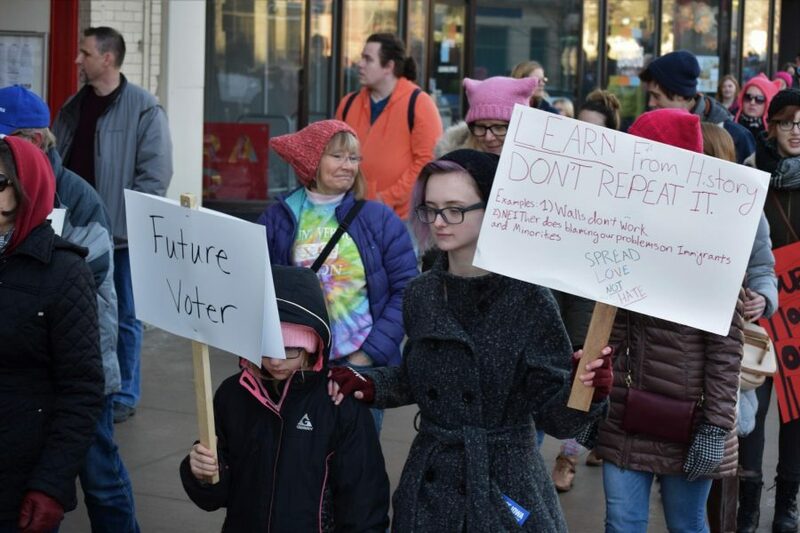 High-school students from around Iowa City walked arm in arm waving homemade signs around with Maya Durham ‘19 and Addy Smith ‘18 in the lead. They chanted, “This is what America looks like” and “This is what the future looks like.” Students of all ages were encouraged to come in order to learn what it means to be a strong force in the community.